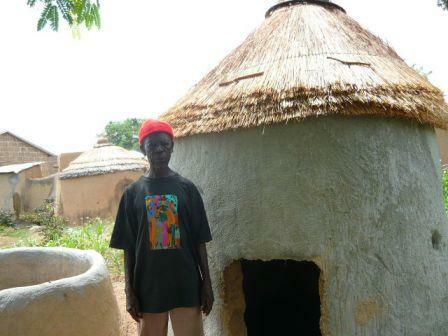 In the rural areas of Northern Ghana where Trax works, most people are smallholder crop farmers. In addition, they often keep some livestock. These animals, however, are often viewed as capital to pay dowry with or to sell for cash in the lean season. Trax, however, teaches its beneficiaries to consider crops, trees and livestock as essential elements of their farm business. One of the first interventions that Trax farmers get taught after they join Trax are soil fertility techniques. All participants are trained on the construction of compost pits. As they start producing compost intensively, however, many soon encounter a shortage of farm yard manure. Livestock is often left to stray or is tethered in the fields. Both make it difficult to effectively collect the animal droppings. In order to overcome this, Trax organizes trainings on the construction of improved animal pens (fosses fumières). These are structured around a pit, which collects the urine and droppings from the animals that lie on an elevated ring. Sweeping the pit every morning thereby facilitates easy collection of manure. 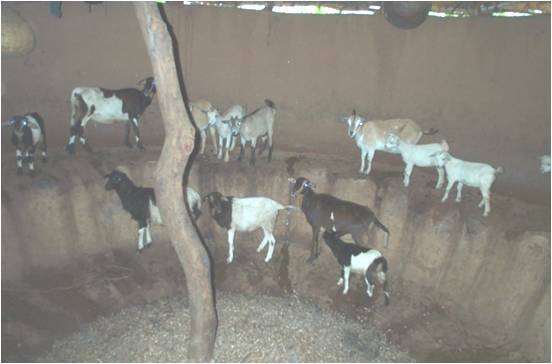 Other advantages of the improved animal pens is that it is easy to monitor the health of the animals and that they can easily be fed with supplementary feeding, especially in the lean season.